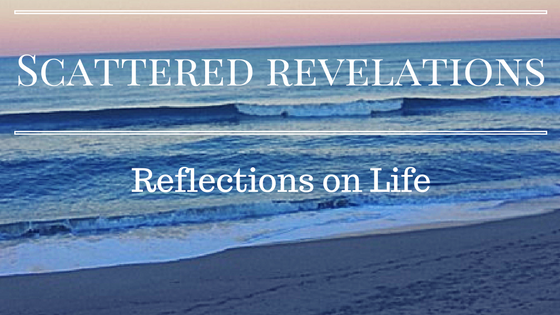 I preached this sermon, Sunday June 8, 2014 at the Unitarian Universalist Congregation of the Outer Banks. Text: An excerpt from Theory U by Otto Scharmer this is not the exact text I used but it will give you some background. I have been reading a dense but wonderful book called Theory U by Otto Scharmer and learning more about his work at MIT and the founding of the Presencing Institute. I became interested in Scharmer and Theory U when I asked a networking contact, so who is creating places to ask the big questions - who am I? What is my purpose? - now that more people are moving out of faith communities. He told me about Otto Scharmer and Theory U. See Otto Scharmer works with big corporations, multinational corporations and NGO's - not faith communities. He is a Senior Lecturer at MIT and a leader in studying and creating leadership programs. Theory U is a process of connecting and learning from the future through an Open Mind, Open Heart and Open Will. Scharmer argues that in becoming deeply present with oneself, with others and with all that is … that we can learn from the future. Our culture is awash in things to keep us from being truly present - not just with each other but with ourselves. We spend most of our time simply taking in information around us and fitting it into our preconceived ideas and bias. We are likely the people in Plato's cave who mistake the shadows for the sun. Our culture rewards this, it is set up for this because if we were all truly awake, truly present to ourselves and to each other then life and reality would have to transform. Now I want to be careful to place myself or us outside that culture because we are part of creating it and sustaining it. One of the biggest lessons from Theory U is when people move from talking about the system or the culture or the organization as that thing out there doing this to them and saying "look what we are doing to ourselves." What are we doing to ourselves? We are not practicing being full present either to ourselves or each other. So what does it mean to be present. What experiences in your life have you had of being fully present - to yourself, to your surroundings, to others. Just take a moment and bring to mind an experience of being fully present. Now take a moment and remember a time when someone was fully present to you. When you just knew they were fully in the moment with you. What are the qualities of those experiences? What did you feel or hear or see? We know when we are fully present. For some of you that experience may have come out in nature…walking on the beach, listening to the waves, watching the sun rise or set. For some of you a particular moment of your life may have come to you - when a child was born, being with someone close to you when they were dying. As I was preparing this sermon I asked on Facebook, I asked a similar question I asked all of you - what is presence like. My friend Layne said, " It smells like rain on hot asphalt washing away built up junk - it sounds soft - it excludes all 'devices' and has eye contact - it feels tingly and warm and it can 'look' lots of different ways. It calls in vulnerable energies balanced with trust and it is so missing in our world." Another friend, Maggie described a moment of present with another: "sitting at the bedside of a dying friend... she'd lost her hearing, so we just locked eyes and conversed silently, if you will. and I was surprised that in those moments, there was only love and joy between us... nothing else... not even sadness. That would come but not in those moments, which felt like being "fully-present with another". My friend Kit says "You feel blessed." Presence does not require much and yet it requires everything. It requires that first we become present to ourselves, that we stop staying stuck in our mind, constantly replaying the same tapes. We need to stop judging and assuming probably the hardest things to do. Then we need to become aware of who and what is around us. In all of the examples, people were connected both with themselves and another. The barriers were down. The judgments were suspended. In those moments, often without words, there was a deep sense of connection and knowing. In our story this morning, Astronaut Rusty Schweickart has an experience of being present that went well beyond himself. He came to see his experience as encompassing all of us, all the boundaries dissolved. As he realized that we all too often see the earth divided with little lines like on maps and globes yet realizing that those lines are a myth - they don't actually exist. He realizes we fight wars and do harm over the myth of these lines. He had an experience of what we call in our 1st source, that transcending sense of mystery and wonder. He said that it took ten years for him to find words to speak of his experience and that it was not until he spoke in the 2nd person - to take his listeners and readers on the journey with him. He invites us into his experience of presence. This experience transformed him, he was forever changed. An experience of presence is that powerful. Yet I think precisely because it is that powerful, that we and our culture avoid it and long for it at the same time. In being fully present, we become open, the walls we have built to protect ourselves come down - even if for only a brief time. Yet what if we chose to be present more frequently that we actually adopted a practice of presence? 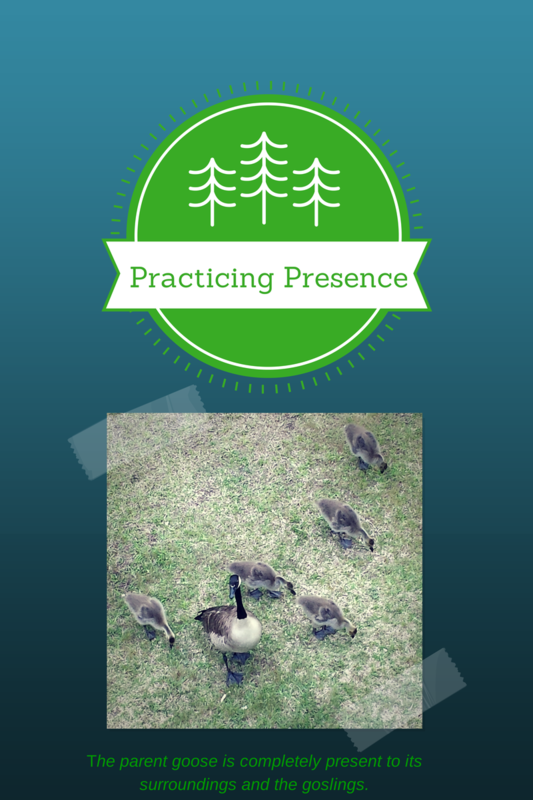 What might happen if all of us here at UUCOB adopted a practice of presence? This community already has at its heart, a strong sense of care and concern with and for one another. What if that care and concern would be taken to another level - a level of being fully present to and with one another? What would this place feel like? What would it look like? What would change? And yes things would change because the experience of being present, fully present, changes people and changes organizations, communities. Imagine for a moment if we adopted a practice of presence. That each time we were together, we practiced being fully present to one another. To putting ourselves in another's shoes; to walking with one another - suspending judgment. In our reading today from Theory U - Scharmer describes his work with organizations as they move deeper from downloading - not present, not awake, to waking up and seeing who is there and what is there - an open mind, to connecting with who and what is there - an open heart, to thinking that is on fire, that is creative - being fully present - an open will- he calls this presencing. Our world and our times call for this! This time in this community calls for it. It is a time to become fully present to ourselves, to each other and to what surrounds us. We know the elements, we know what it feels like. We know when we are present and when we are not. We know when others are present with us and when they are not. Will we do it perfectly, 100% of the time. No. Yet we can practice. We can begin here at worship. We can take the time to pause, to get quiet and get ready. We can look and really see who is here. We can look people in the eyes and ask "how are you" and wait to hear the answer. We can shake hands and be aware of the feel of the person's hands. We can listen beyond the words. We can take it into coffee hour. As we practice it, it will come more natural. We will get better at being present. So I invite you into a practice of presence. I invite us into this practice. Let's see what might change - for ourselves, for each other, for this faith community.